What Is Bing and How Does It Help Your Business? There are a lot of big name search engines in the world. Some, you haven’t even heard of as they are preferred by only certain countries, such as Yandex and Baidu. Obviously, most people are familiar with Google and Yahoo! as the top search engines. However, these two are not the only globally recognized engines that you can rely on when you need to find relevant results for your search queries. There is also a search engine called Bing, which was formally known as MSN Search (1998), Windows Live Search (2006), and Live Search (2007). Bing is a product of Microsoft as a result of revamping the previous search engine models. It was introduced only in 2009 and for many years, people did not realize the potential that Bing has for computer users, specifically for businesspeople. Today, it has been reported that Bing has already reached 17% of market shares in the U.S last July 2013. While this number is still not enough to overtake Google, it’s still a milestone to be celebrated. At the time Bing was reported to reach this landmark, Google and Yahoo saw a slight downward trend. You can read more about this by going to comScore’s article on the topic. That reach will only grow since Windows uses it as a default engine and add to that, the latest changes to Apple’s Spotlight for Mac OSX and iOS will use Bing. Oh, and if you are familiar with Siri, it’s already using Bing now. 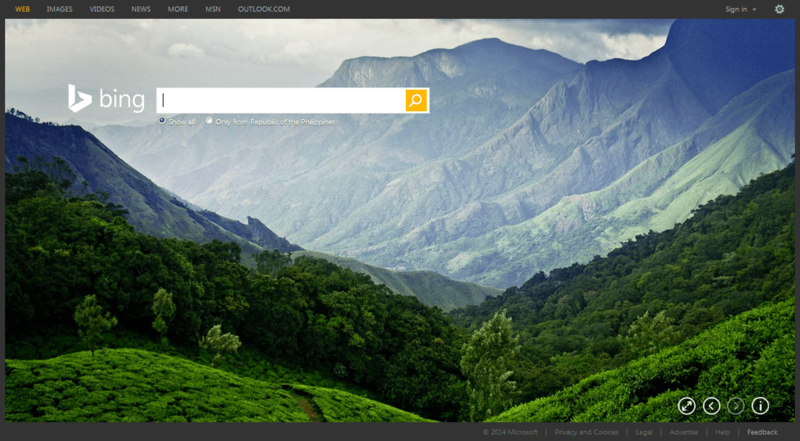 A snapshot of Bing’s homepage. Bing’s homepage is very different from other search engines’ homepages due to the interface and the design. Google and Web Search have a more simplistic front, while Yahoo prioritizes bringing users what’s new and trending. As you can see, Bing has focused on featuring interactive eye candy instead: high-resolution images as the backdrop for the search bar. 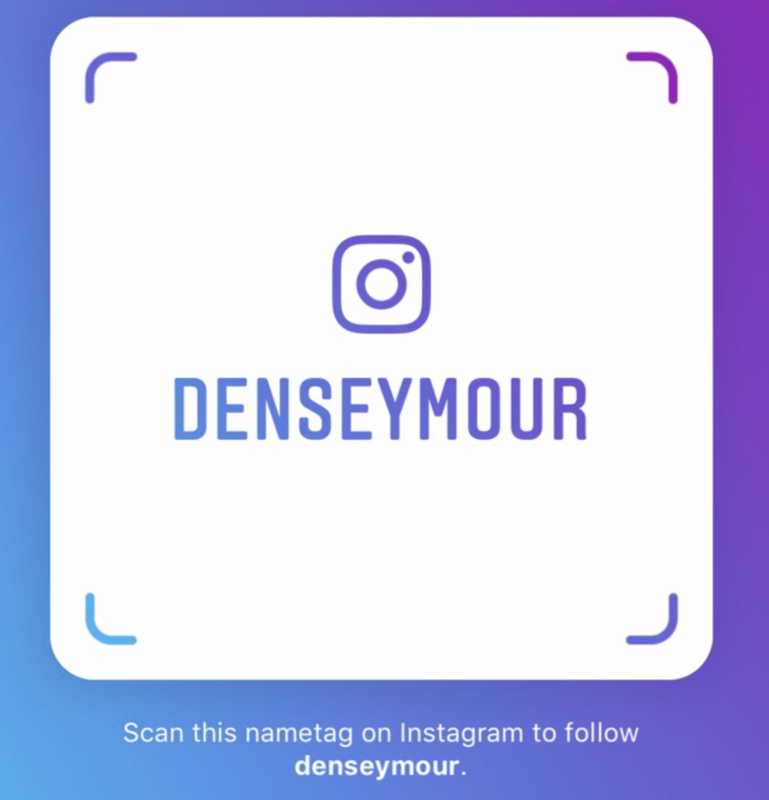 These images are interactive, as you can change the background image with the arrows at the bottom left corner of the picture above. In addition, the set of background images change daily. Bing’s homepage has interactive buttons on the lower corner. Aside from changing the background image, you can find two other buttons on the lower left portion of the screen. The first button will allow you to see the image in full screen. This means that the menu bars at the top and at the bottom will be removed, leaving you with only the search bar to work with. On the other hand the last button on the right will give you information of the background image that is featured. For instance, with the image from the picture above, the description goes: Tea Fields in Munnar, Kerala India (Vidhu S/500 px). The above picture shows the main search toolbar, the results of which can be divided by locality. For instance, the picture shows that the Bing can show all results found using the keyword used, and the searcher can also choose to just view results that are from the Republic of the Philippines. In the past, Bing introduced a three-column display for the search results, in which the SERP shows the search results on the left side, image results in the middle portion, and search results from Facebook and Twitter on the right side. However, now, Bing is undergoing a beta test, and the SERPs will only show the main search results, as well as the related and previous searches for the keywords used. Having a Bing account is also easy to manage because all user options can be accessed through one button, which will bring up a navigation pane at the left side. This pane can be closed by clicking a single button, as well. There are some sites where you can also use Bing as a search tool to look for content within that website. Businesspeople will love Bing’s features that are good for promoting business, such as the ability to create business listings and incorporate Bing with Apple, Facebook, Hotmail, and Windows 8. For those that have brick-and-mortar stores, business listings are shown together with Bing Maps that make it easier for people to locate your shop and get more information about it. Aside from the visual edge that Bing has, the search engine is also known for its special features for media, such as pictures and videos, in the SERPs. For example, when browsing pictures in Google Images, you don’t need to open multiple pages to view a number of pictures. You just have to scroll down continuously for the picture thumbnails to load. There is also an advanced search option where you can indicate the size, color, type, and layout, to name a few. You can turn on the SafeSearch option to filter out images that may have inappropriate content. These options are also available for when you are looking for videos. You can use advanced search to remove videos that may have inappropriate content or are not relevant to your query, and you can look at a number of video thumbnails continuously by just scrolling down. Another feature is that you don’t need to open the video to watch it. You only need to hover your mouse on the video thumbnail, and the video will start playing. Meenaz Merchant, a representative of Microsoft and Bing’s Senior Program Manager, says that Bing has certain advantages in image search that some of the most popular search engines do not have. One of these is that Bing has an understanding of the intent of the searcher based on the searched keywords. It is also able to determine whether the searcher needs images and videos of a person, an animal, a thing, etc. In essence, Merchant says that Bing operates like a human in bringing results, which will show content that is most relevant to the need of the person in context. Merchant further adds that Bing is better at filtering out poor-quality and duplicate content. This means that you will see more relevant and different images per search, rather than see a lot of pictures that have the same content. Another advantage of Bing is that its SEO algorithms give priority to high-quality images, so you can be sure that the images you download from the search engine will be of high resolution and clear quality. Bing is not only a reliable search engine that you can use to look for high-quality content, as you can also use Bing to promote your business. You can do this by creating an account on Bing Places. Bing Places is similar to Google Places in such a way that it allows you to create a business listing for your brick-and-mortar store. Thus, when a person searches for your shop or your product, or just used keywords that are relevant to what your business can offer, your listing will show up on Bing’s SERPs. For those here in the Philippines, Bing hasn’t focused on making it directly available yet so if you want to make it part of your digital marketing campaign, then just leave your email and message. Before you create a listing, you need to search for your business and claim your listing. Currently, you can only create a business listing on Google if your company is based in certain countries, namely: Australia, Brazil, Canada, Germany, India, Italy, Spain, United States, and United Kingdom. You can add your company’s phone number, or the business name and location. It’s important that you include your Zip Code to ensure that Bing will locate the correct business. The world is a big place, and it is not uncommon for countries to have similar county and city names. As you can see, there’s also an option for you to create multiple business listings. Click “Search” once you’ve completed the fields. Bing lists businesses in specified locations. If your store’s listing is already given in the results, click “Select”. If not, you have the option to create your listing by clicking “Create New Business”. A button pops up for creating a new business on Bing. You will need to log-in using a Microsoft or a Windows Live ID account to complete the process. You can also create an account for your business if you don’t have one. After logging in, you will be immediately directed to your Bing business listing’s page where you can add more information about your company. One thing that you shouldn’t forget is to indicate the category to which your business belongs. That way, when people search for things related to that category, your listing will have a better chance of showing up on Bing’s SERPs. Make sure that you don’t leave any field blank, unless the field is not applicable to you. The most important things that you should fill are your business name, complete address, contact details, store hours, and a description of what your company is all about. Remember that your listing is the vehicle that will bring people to your store, so don’t be scared to get creative in order to engage with people and convert them to customers. You can decorate your business listing on Bing with images and videos to your listing. Make sure that the content of these things are relevant to your business because these are what people will usually see first when they look at your listing. It’s great if your company has a logo, but if your store doesn’t have one yet, a headshot of the owner is fine. The important thing is that the picture or video is clear and attention-grabbing. In short, optimize your media. Before your business listing is published, you will need to verify the location of your store by voice or by post. Once your listing is published, you can edit the information and create ads for it. Of course, you shouldn’t only rely on creating a nice business listing. There are plenty of things you can do to increase the visibility of your listing and thus, bring people to your store. You can use Bing Ads, which is a form of pay-per-click advertisement, similar to Google AdWords, that will show up on both Bing’s and Yahoo’s SERPs when a person searches for keywords that match yours. Promoting your business website on Bing is also quite different from how you do it on Google. You see, Bing uses a different SEO algorithm than Google. Where Google focuses on the link quality, Bing looks for how long the links have been active. In terms of keyword usage, Google can recognize synonyms and contexts of keywords, so you are not limited. With Bing, it’s recommended that you use keyword phrases. Google is still a more advanced beast when it comes to SEO but Bing is getting there. Another difference is that when you search for keywords that may have different contexts, such as “Brave”, Google will rank the more popular meaning higher. In this case, Brave the animated film could be ranked higher than brave the adjective. When you search for ambiguous keywords using Bing, you will get local results. If you are new to SEO, there are plenty of tools from Bing that can help you optimize your page properly for SEO practices. One of these is the Bing SEO Analyzer, which will check and give you a report about your current SEO strategies. The tool will also recommend to you some strategies that you might want to use, in case you missed them. Another tool is the Bing Webmaster Tool, which will basically help you optimize your site to increase its visibility, the traffic to your page, and other ways by which to improve your site. So you see, optimizing your business listing and website for Bing will be a bit different from your SEO strategies on Google. On the bright side, having both Google and Bing listings and your website optimized for these search engines will greatly increase the visibility of your site, which means more traffic, both directed toward your website and your physical store. Plus, the “better” conversion rate we’ve experienced from our tests and findings, certainly helps. Bing is on the rise and you should take notice now. Wouldn’t you want to be everywhere?